In March 2007 Ahmed Al Hajri came to Halifax from Saudi Arabia, after being awarded a health sciences scholarship from the Saudi Ministry of Education. At the time, he spoke almost no English and spent his first year here beginning to learn the language. 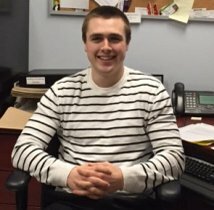 In May 2016–nine years later–he graduated from Dalhousie with a Master of Science degree in speech-language pathology. The story of Ahmed’s education at Dalhousie where he completed his undergraduate as well as his graduate degree, is one of hard work and perseverance. During the first year of his undergraduate program in biology, he found that he did not understand most of what he heard in class. He recorded all his lectures and painstakingly translated every word. But by second year, he only had to translate about 30% of the material and by third year, translation was no longer necessary. By this time, he was on the Dean’s list and began working as a TA in the Arabic section of the Classics Department. His experiences as both a language learner and teacher combined with his interest in health sciences led him to apply to the graduate program in speech-language pathology at the SHCD, and in September 2013 he was enrolled in the program. 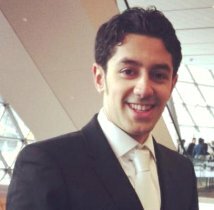 He was the only Saudi student in a SLP program in Canada. Ahmed excelled in both academic and clinical components of the SLP program. Following his graduation, he returned to his home city of Ad Dammam in Saudi Arabia where he is able to provide SLP services in both English and Arabic. Ahmed describes his experience living in Canada as “an amazing journey,” and commented that “the people here made it extra special.” When asked if he had any advice for international students who might be interested in pursuing study in speech-language pathology, he observed that his experience living in Canada before entering the program allowed him to learn about the culture here. In his opinion, learning about the Canadian culture was as important to his success in the program as learning the English language. Every year, Speech-Language and Audiology Canada (SAC)’s Awards and Recognition program recognizes the two individuals (one audiologist and one speech-language pathologist) who attained the highest score on our clinical certification examination in the previous calendar year. Alexander Colquhoun, M.Sc., Aud(C) is the recipient of the 2015 National Clinical Certification Exam Award (Audiology). Below, he discusses why he entered the profession, how he prepared for the exam and what he's done since becoming clinically certified. How did you get into audiology? Alexander Colquhoun (AC): I was always really into science. I liked learning about the body and how it works and when I did my undergraduate degree in biochemistry, I really enjoyed learning about the eyes and ears. I had never thought about audiology as a career until I had the chance to shadow an audiologist, which is when I found that I liked the idea of caring for and getting to know people. 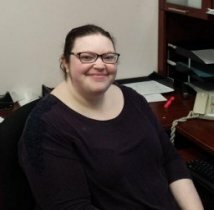 I enjoy communicating with people and building relationships with them so I chose audiology because of the time spent with people and the science aspect of it. I’m also fairly analytic and found that the field fit my strengths and what I liked doing. Now that I’m in it, it feels kind of like detective work. It’s cool how many tools and kinds of equipment we have at our disposal to figure out what’s going on with someone’s hearing. How did you prepare for SAC’s clinical certification exam? AC: The biggest parts of my preparation were my internship and externship experiences. Each experience was a 12-week placement where I got to apply what I had learned in school to a real world setting. One of the audiologists I worked with was particularly helpful — he always sat down with me to go through the more interesting cases we worked on, to make sure I really understood what the results meant and to emphasize how important it is to be a critical thinker. As for actually studying for the exam, I reviewed my notes from the courses I took at Dalhousie with a friend from school. We spent about 10 nights reviewing material from about 10 courses, doing one course each night, and then I did a booklet of 100 practice questions that really helped to get me in the right headspace to write the exam. Do you feel that your academic program adequately prepared you for the exam? Did you feel ready to start work after school? AC: Absolutely. All of the subject material on the test was information I had already covered in school. And I can’t say enough good things about the internship and externship experiences. What advice do you have for others who are preparing to write the exam? AC: The schooling at Dalhousie was fantastic and I really felt like my professors gave me what I needed to succeed on the exam. My advice to others getting ready to write the audiology exam comes down to this: you shouldn’t be worried going in. You’ve been living, breathing and studying audiology for at least two or three years. To be honest, I didn’t feel good when I came out of the exam. I was tired and focusing on the things I had missed. I didn’t feel like I nailed it, which shows that we tend to focus on the things that didn’t go so well. What value do you see in maintaining your clinical certification? AC: I needed it to get my job, but besides that, it’s a great way to stay up-to-date in audiology. It encourages you to get involved and keeps giving me a reason to seek out professional development opportunities. I really like education experiences where you get to network and meet audiologists from other parts of the country, because we can learn from each other. Where are you working now? How does it compare to the career you envisioned for yourself? AC: I’m currently working at the Upper River Valley Hospital, which is a little hospital in Woodstock, N.B. I couldn’t ask for a better position in audiology. I am the sole audiologist here and, although I didn’t see myself going somewhere where I would be working alone, my school program really made me feel prepared and confident enough to do it. I’m connected to the Dr. Everett Chalmers Hospital in Fredericton and so I talk to the audiologists there weekly about cases, and that’s been a good resource. As far as I know they haven’t started screening my phone calls. One of the nice things about working in a smaller hospital setting is the ability to get involved in other departments and to learn about different kinds of therapy, which is something that likely wouldn’t be as easy in a larger hospital. I have a very supportive manager, who is fantastic, and my colleagues in Fredericton and in the Upper River Valley Hospital are fantastic too. I really can’t say enough good things about them. Taken from "Getting to Know the 2015 National Clinical Certification Exam Award Winners"
Laura Hart is working as an audiologist with the Nova Scotia Hearing and Speech Centres at the South Shore Regional Hospital in Bridgewater, Nova Scotia. She graduated with an MSc in audiology from Dalhousie University in 2015. Laura completed her undergraduate studies in psychology at Saint Mary’s University. It was Laura’s wish that she would be able to remain in Nova Scotia for her career, preferably in a smaller town. She feels extremely fortunate to have landed her dream job right out of school, and cannot say enough good things about the organization, her colleagues and the south shore of Nova Scotia. Her first year on the job has passed in the blink of an eye and has been full of wonderful opportunities and learning experiences. Laura finds the interactions with her patients to be the most rewarding part of the job, and appreciates the opportunity to make a difference in their lives. When not working, Laura enjoys reading, spending time with friends and family, walks with her dog and cooking. Please click here to watch a short video montage that showcases these award winners. For Carmen Lishman, there’s something special about Nicaragua. Well, more like several things. Working there as a conservation biologist after graduating with her Bachelor of Science degree from Dalhousie, she fell in love with the landscape and the people—including her eventual husband—and soon began a new journey that would bring her back to her alma mater. to help improve conditions in the country’s smaller communities.